BRUSSELS (AP) — The European Commission warned Italy on Wednesday that its budget plans are in serious breach of the rules underpinning the euro single currency and said that the country should face sanctions. The European Union’s executive arm, which supervises national budget plans, has invited eurozone countries to examine its assessment in two weeks and, if they agree with it, the Commission would launch an “excessive deficit procedure” that could result in fines for Italy. The warning, while not rare in EU terms, has been marked by tensions between the Commission and Italy’s populist government, which has vowed to resist any pressure from Brussels and continue with its spending plans. 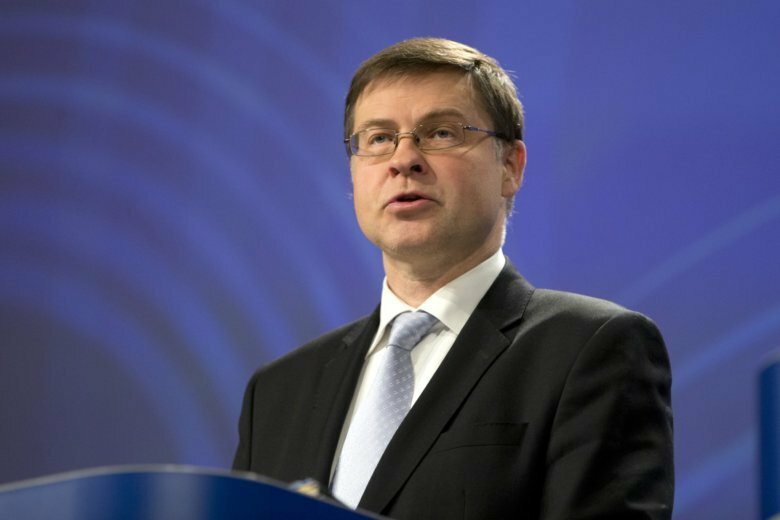 Dombrovskis said Italy’s debt load of 131 percent of GDP forecast for the next two years puts 37,000 euros ($42,300) of debt burden and 1,000 euros of debt servicing on each Italian every year. Italy’s debt load is the second-highest in Europe, after Greece. Many are concerned about new financial turmoil in Europe should Italy lose control of spending, but the government in Rome says a sharp increase in spending is needed to jumpstart growth. Italy has the eurozone’s third-biggest biggest economy. Saving Greece was hard enough; bailing out Italy would be all but impossible. The Commission’s analysis says the measures will not boost growth but will rather necessitate new budget cuts in the future. “This step which we take today is the logical and unavoidable consequence of the decision taken by Italy’s authorities not to modify their fiscal targets,” said EU Economy Commissioner Pierre Moscovici. Eurozone and EU finance ministers meet in Brussels on Dec 3-4. So far, they have been reluctant to criticize a partner government, preferring instead to say that it’s up to the Commission to police the rules. Analyst Lorenzo Codogno of Macro Advisers said that EU finance ministers could decide to grant Italy more time — possibly several months — to show that it’s taking “effective action” to address the problem.